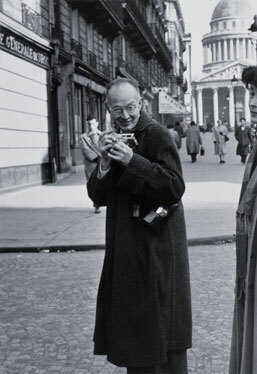 A photography exhibition juxtaposes Ihee Kimura and Henri Cartier-Bresson’s works. 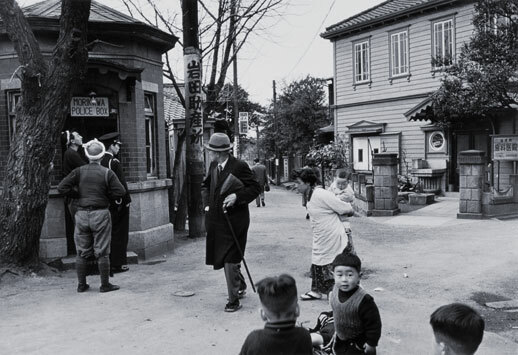 In a sense, this exhibition could have been made only in Japan: on one side Henry Cartier-Bresson, a giant of the twentieth century and one of the very few names who are famous enough to be recognized outside the world of photography. On the other side Ihee Kimura, who until quite recently has been scarcely known outside Japan (the Maison Européenne de la Photographie in Paris devoted an exhibition to him in 2004). And yet these two men not only were friends since the 1950s but shared a common attitude towards the hows and whys of photographic creation. Both of them were big fans of the Leica compact camera that, because of its small size and versatility, became an extension of the human eye, thus enabling a greater creative freedom and helping photography to develop into a truly unique and original art. They also had a preference for the 50 mm lens, whose range was the closest to the human eye. Both artists embraced photo reportage as their main genre, endlessly roaming the streets in search of subjects, always trying to reveal the wonders of everyday life, including its more trivial aspects. One thing the two had in common was an unwillingness to trim their images once a photo was made. The click of the shutter was the beginning and the end of their creative work. They allowed themselves (and even the magazines and publishers they worked for) no ‘post-production’ work so to speak. Considering their modus operandi and their love for the poetry of the fleeting moment, it is amazing how their ‘snap shots’ were able to capture perfect compositions in a fraction of a second. In the age of Photoshop and endless photo retouching, this is an art that many have forgotten. 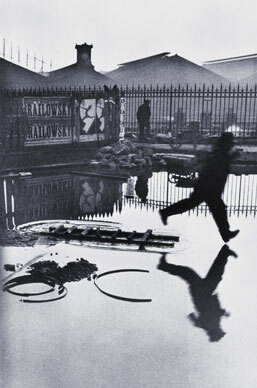 Similarities notwithstanding, the 150-plus pictures gathered for this exhibition also highlight the differences between Cartier-Bresson and Kimura. The most important -– and one that reminds us of a general difference between Eastern and Western sensibility –- is the way the artists approach their subjects and compose their photos. Cartier-Bresson clearly is the more talented of the two, and such works as ‘Madrid, Spain’ (1933) and ‘Istanbul, Turkey’ (1964) are masterpieces of photographic composition, placing all the elements in the right place, in complete harmony with each other. For this reason, they also appear to be more static and remind us of the Western approach to landscape gardening. Kimura’s photos, on the contrary, are more dynamic in their seeming formal imperfection. More than mere pictures, such works as ‘Morikawa-cho, Hongo’ (1953) and the 1954 portrait of Kafu Nagai look like frames from a movie. Their asymmetry and lack of balance, much like the seemingly chaotic arrangement of Japanese gardens, point to an Eastern approach to the world in which the artists simply let the things around them be, in the constant flow of life.